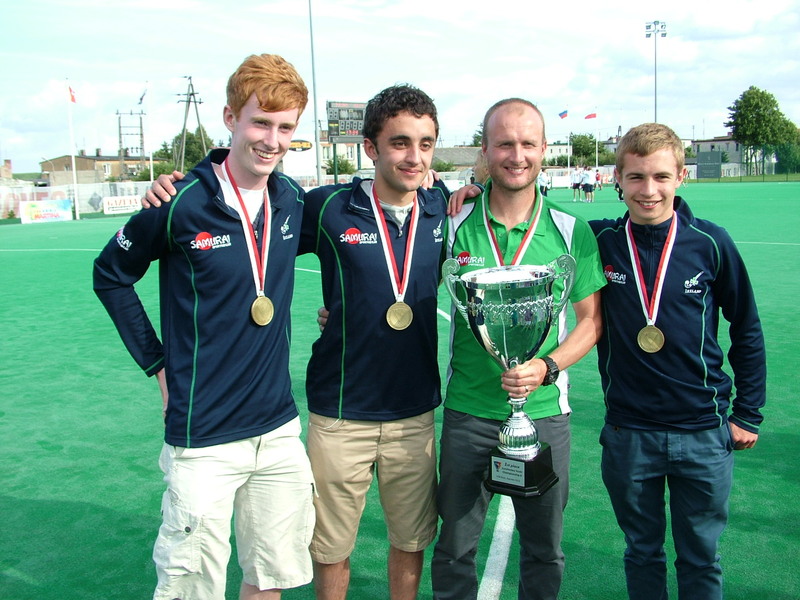 Three members of the victorious Irish under-18 Boys’ Hockey Team who recently returned from the EuroYouthHockey Championships in Gasawa, Poland are from the parish of Douglas Union with Frankfield in the Diocese of Cork. 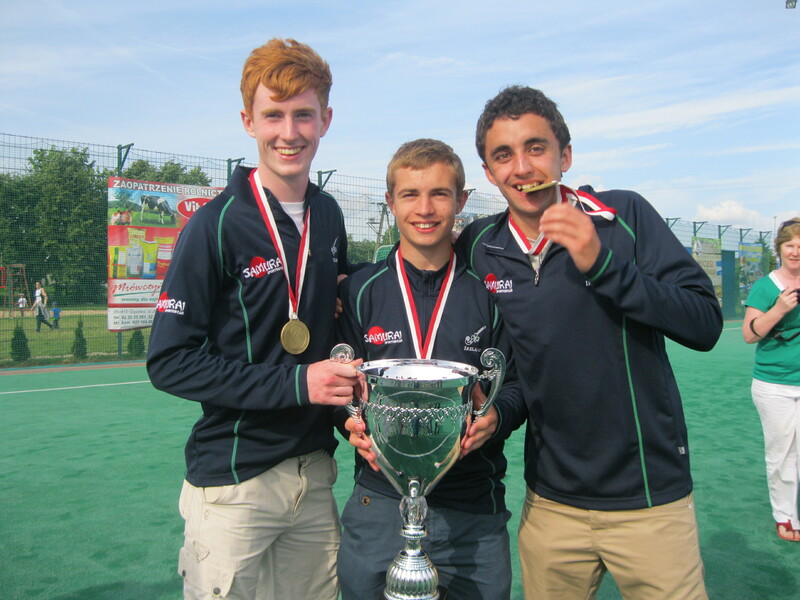 All three – Alex Burns, Gary Wilkinson and Simon Wolfe – are also past-pupils of St Luke’s National School, Douglas and currently play for Church of Ireland Hockey Club, Garryduff in Cork. Each also plays for his current school: Alex (Midleton College) and, Gary and Simon (Ashton School). Irish u18s coach Graham Shaw (second from right) with gold medal-winning Douglas and Frankfield parishioners (l-r) Alex Burns, Gary Wilkinson and Simon Wolfe. Congratulations and well done from us all in the Diocese of Cork, Cloyne and Ross! Deservedly proud of their international gold hockey medals (l-r) Alex Burns, Simon Wolfe and Gary Wilkinson. This entry was posted in Cork, Parish News, People from the Diocese, Schools in the Diocese, Youth Work and tagged Sport in the Diocese. Bookmark the permalink.